TaxAssist Accountants, the growing network of small business specialist accountants across Australia, is launching its first shop in Victoria. 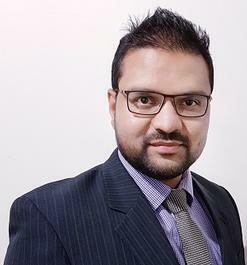 Qualified accountant Yuvraj Verma will be opening a walk-in tax and accounting service on 130 Bridge Road, Richmond in Melbourne, which will bring the total number of franchised areas in Australia up to nine, covering 14 locations across the country. Yuvraj said: “With TaxAssist Accountants, I saw an opportunity to offer a first-class service to a growing market who have traditionally been neglected by the larger accounting practices and under-serviced by the smaller ones. I am looking forward to meeting with the businesses in the area and explaining what services we offer and how we can help." TaxAssist Accountants provides small businesses with advice tailored specifically for their needs – from completion of end of year accounts and annual tax returns to payroll, GST and bookkeeping. This is complemented by a wide range of additional services including debt recovery, independent financial advice and personnel (HR) services.